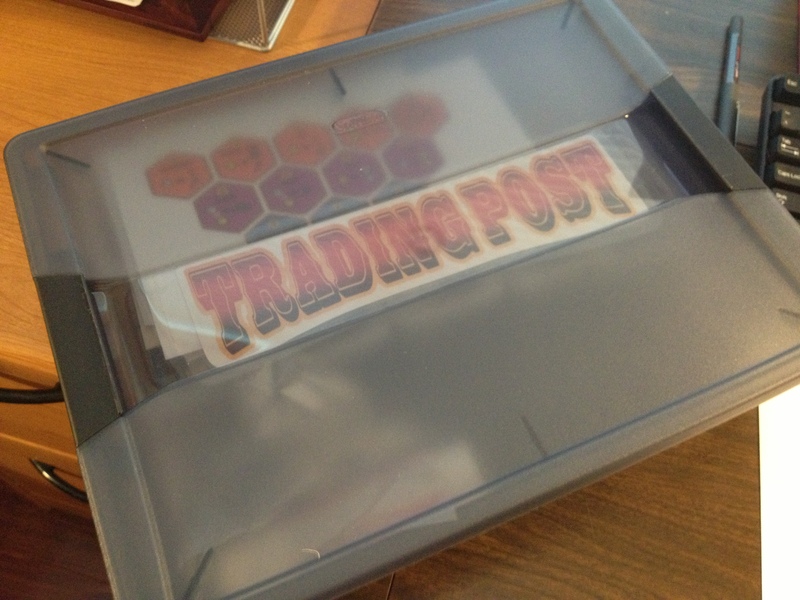 Posted on June 13, 2013, in Board Games, Game Design, My Games, Prototyping, The Boards, Trading Post and tagged board game design, board games, game concept, game design, games, play test, playtesting, prototype, Trading Post. Bookmark the permalink. 1 Comment. If you want to increase trading between players, make it so that players MUST trade with each other if they want to get ahead. 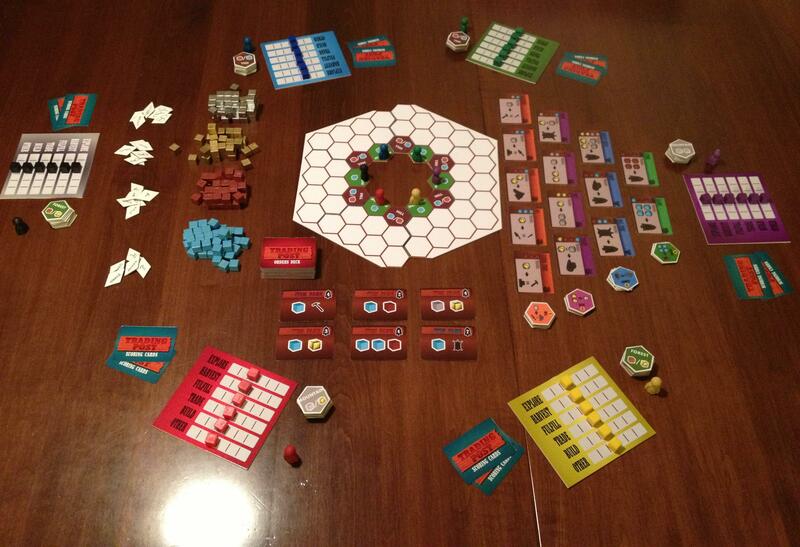 If you have certain resources that can only be produced by one or two players in the game, then players will be forced to trade with each other out of necessity. If everybody needs a shovel, but there is only one blacksmith, then the hatter will need to trade a hat for a shovel. The Blacksmith needs a hat, so he’s willing to make the trade. Or perhaps a more realistic example is that Player A can make a shovel using 4 actions/resources and a hat using 2, while Player B can make a shovel using 2 actions/resources and a hat using 4. Player A is best to specialize in hats and Player B is best to specialize in shovels. If Player A makes 2 hats and Player B makes 2 shovels, they can trade a hat for a shovel and now they each have a hat and a shovel, using a total of 4 actions/resources each rather than 6. A selfish player can do it on his own, but a trader will use fewer resources/actions and be better off.